As far as classics go, the 50 Lions game is up there with the best of them. The game has been hugely loved across the globe for many years and is still popular today, judging by the number of machines that can still be found in Las Vegas.The game is very similar to many other Aristocrat games, but it still has a unique appeal. 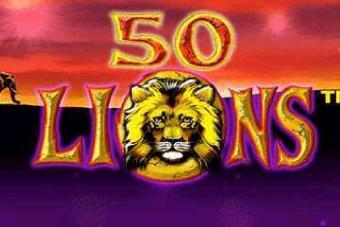 Like most of the older Aristocrat slots games, 50 Lions is very simple, yet still manages to keep you coming back for more. The game has 50 pay-lines, which is probably why it is called 50 Lions, I guess, a bit like the more recent 50 Dragons game. 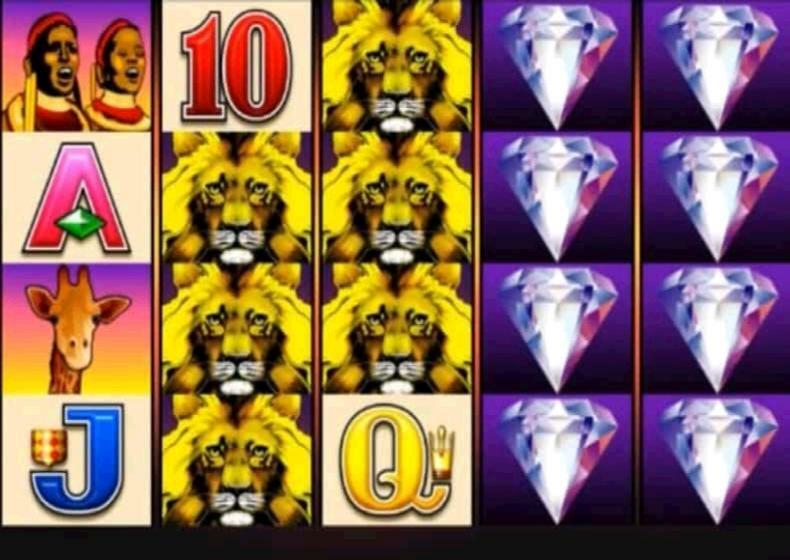 If you are looking to play 50 Lions slots for real money online, then you might be disappointed unless you live in a country like the UK. In the UK, the game is found in loads of online casinos, but not so much in other countries. For example, there are no casinos online in the US, Canada, or Australia with this game, due to licensing restrictions. However, if you want to play 50 Lions for cash in your local casino, then you will more than likely be able to find it. Most of the casinos I have been to in Las Vegas still have the game, as well as in Reno and Atlantic City. Even the casino in New York has this game. The bonus round in 50 Lions is a free spin round. You get 10 free spins, but that's not all. You also get loads more wild symbols, that are stacked. Each time you spin the reels, more wild symbols are added to the reels, so by the time you get to your 10th free spin you have a very good chance of hitting a big win. You can re-trigger the bonus round, but only once. If you manage a re-trigger, this is fantastic news, because the wild symbols keep getting added, on top of the ones you were given during the last 10 spins. So, as you can imagine, that could rack up some hefty wins.